Day 1: Bikes assembling and a short ride in the woods. Traveling to Kosice, check-in to Hotel Bankov, assembling the bikes and riding on the single track at the hotel’s doorstep. Up to 20 km and about 500 m climbing, depending on the time we have. 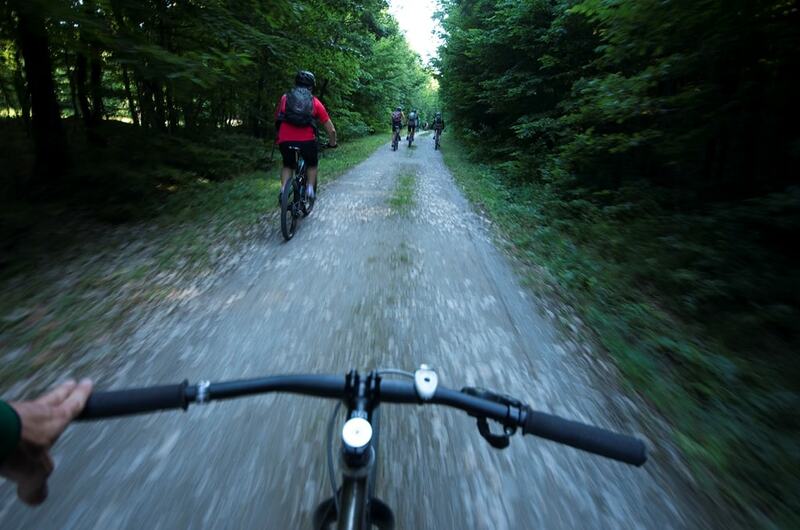 We ride single tracks built and maintained by a community of bikers. 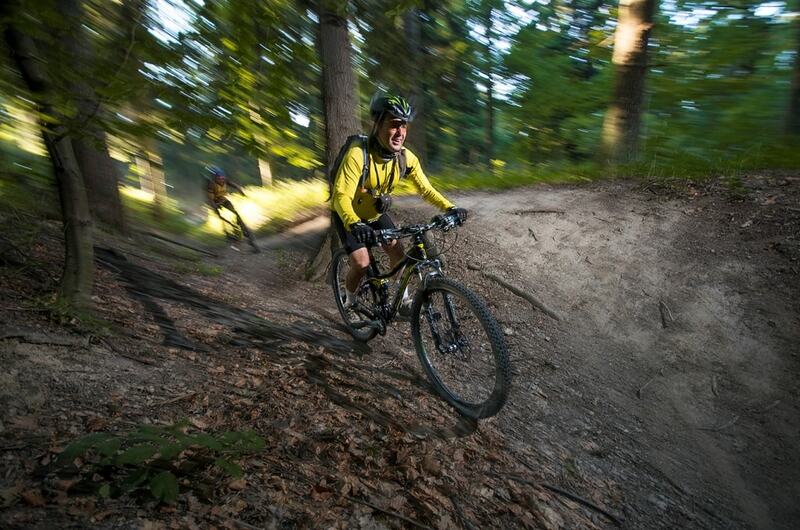 We can visit the dual slalom course on Cerveny breh. Dinner and night at the Hotel Bankov. Full day-ride after breakfast in Hotel Bankov. Start at the Hotel Bankov; riding up to Jahodna, snack and coffee there. 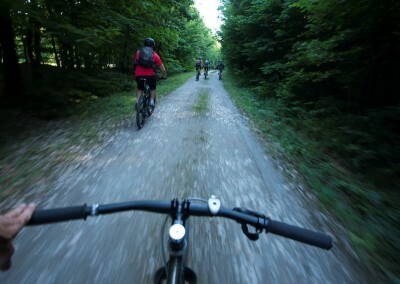 On single tracks down to Kosice. Some parts of the single tracks are built by volunteers, other parts are old hunters path. Late lunch in the city center, then back to the Hotel Bankov where an additional ride is possible. About 45 km and 900 m climbing. Dinner and night at Hotel Bankov. After night and breakfast at the Hotel Bankov we transfer to the Spis region. Whole-day ride across Spis where UNESCO World Heritage sites are located on our route. Starting point is in Zehra, with optional visit of the medieval Church of the Holy Spirit. Then uphill to Slatvina and uphill to Slubica. Nice technical natural single tracks down to Dubrava for a snack. Then to the Spis castle through Granc Petrovce and a travertine hill Drevenik with endemic flora and stone formations. We can visit the castle Spissky Hrad; cross Spisska Kapitula to Spissky Salas for a snack; transfer from Spisky salas to the Slovak Paradise national park. 50 km ride and about 1300m climbing. Dinner in the Mlynky Hotel. Breakfast in the Mlynky hotel, we ride bikes to the ice cave across Pacmanska Masa, Voniarky, Samelova dolina. 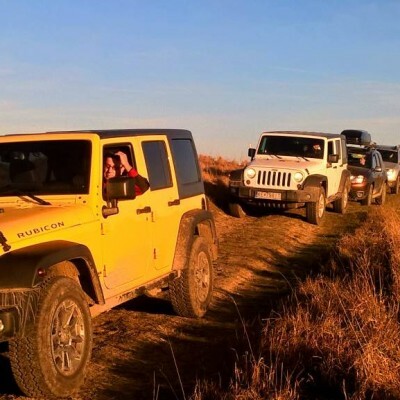 Ice cave visit and riding through a canyon are the highlights of the day. We move on to Penzion Borovica for a dinner. We can add a loop to Havrania dolina, Chotarna dolka and back to the hotel. Dinner in the hotel Mlynky. 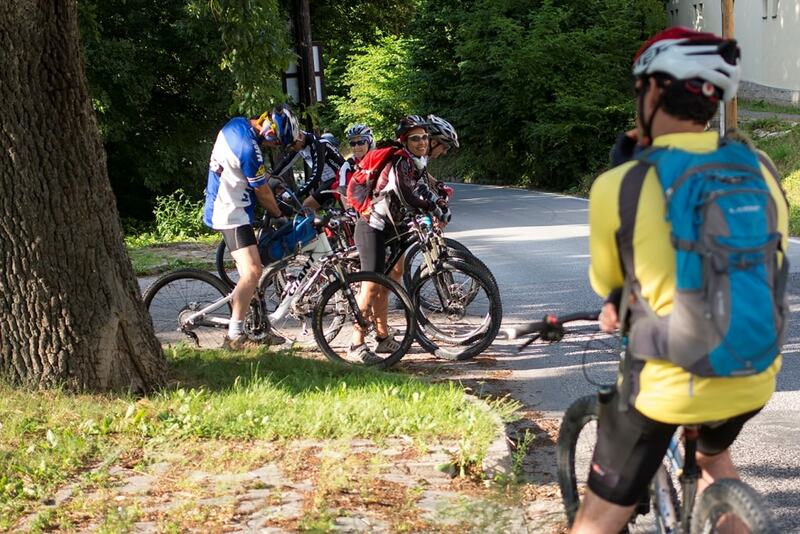 We load bus with baggage and start to bike across Slovak Paradise. Uphill to Geravy for a snack. Then to Klastorisko and to Podlesok where we stay for lunch. Then Tomasovky vyhlad and Cingov. Possible additional loop on natural single trail along the Hornad river. 45 km and 900 meters climbing. 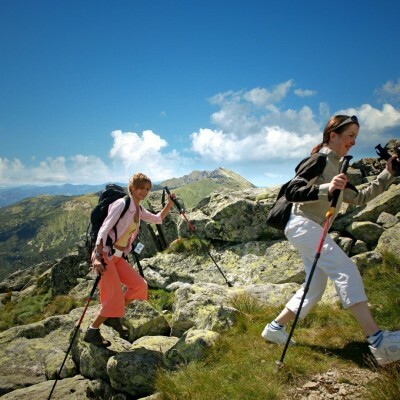 Transfer to the High Tatras to Hotel Praha in Stary Smokovec. Dinner in Hotel Praha. Breakfast in Hotel Praha. Ride to Green lake, short stay and a snack in a cottage. Trail to Green alpine lake is rocky and technical. Rewarding downhill back to Stary Smokovec. 20km and 600m climbing. Lunch in Stary Smokovec. Bikes disassembling, transfer to airport. First uphill by a chairlift in a bike park, then riding in the woods with a spectacular view of the Tatry mountains. 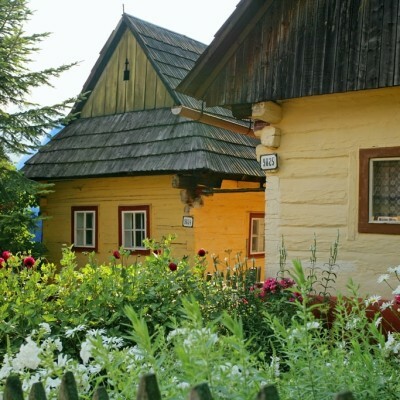 Visiting the village with original wooden houses. Total sum depends on the size of the group, date, hotel rank, room type, and transfer mode. We will send you the details immediately.